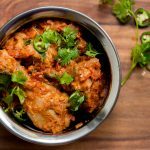 Pakistani karahi chicken (or kadai chicken) is a simple and super delicious curry made with chicken, lots of tomatoes and of course coriander to garnish in the end. 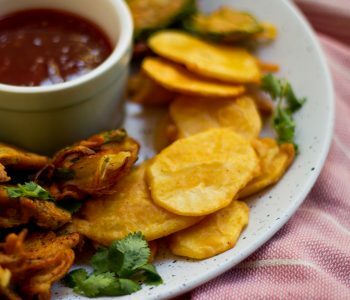 Enjoy with rice or tandoori naan. Karahi chicken is one of those quintessential Pakistani dishes that can be seen regularly at menus, whether at a cafe, a fancy restaurant and most often at roadside dhaba’s. The name of the recipe is derived from the way it is cooked, which is in a karahi. A cooking utensil similar to a wok, the karahi is made from metal and is circular in shape with deep sides. 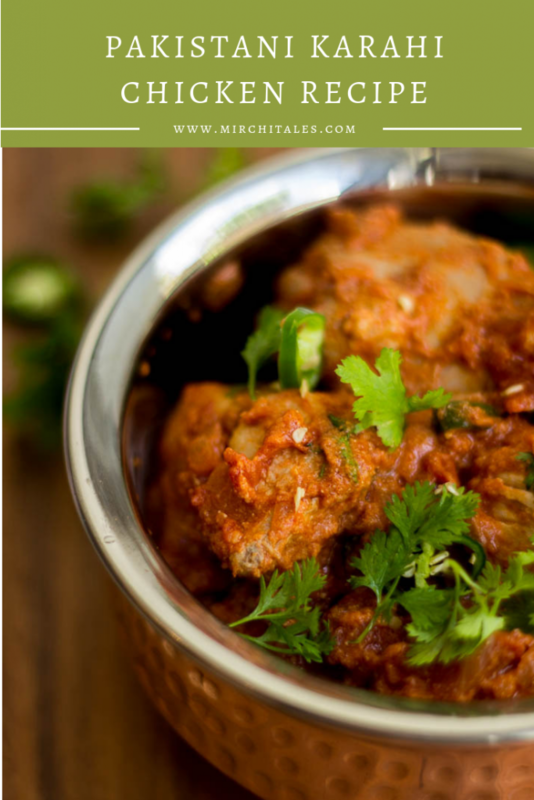 Compared to other curries made in our cuisine, Pakistani karahi chicken uses only a few ingredients making it extremely essential to pick the right ones. First off, use bone-in chicken pieces because the bones have heaps of flavour, and it gets infused in the gravy. Secondly, as this recipe is all about the tomatoes make sure to use ripe fresh ones. Lastly, don’t skimp on the coriander and green chilies in the final step. If you don’t like spice, use mild chilies or leave them whole but the flavour and aroma from these two ingredients just brings the dish together. Serve with tandoori naan, zeera chawal and a raita on the side. Some other Pakistani chicken curries that you can try are zeera chicken handi, Pakistani chicken ginger, butter chicken and murghi ka salan. 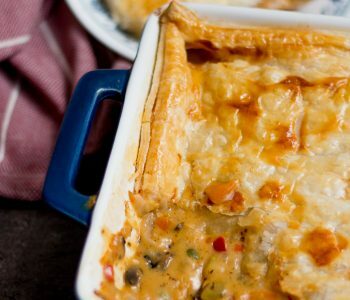 Would love it if you could try out and rate the recipe, and let me know how it was in the comments below! Heat 1 tablespoon oil, and add tomatoes. Cook the tomatoes till they are soft, mashing them with a wooden spoon every few minutes. Set aside. Heat the remainder of the oil in a large pot. Fry onion till light golden, and then add the chicken. 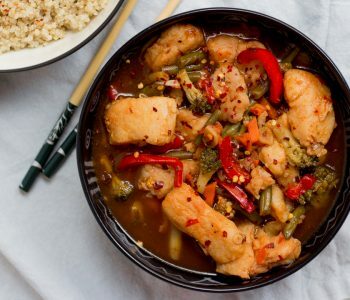 Cook for 2 – 3 minutes, and then add ginger garlic paste. Cook for 4 – 5 minutes, till the chicken colour changes from pink to white, and then add the mashed tomatoes followed by red chili powder, and salt. Add yoghurt (if using), turn heat to low and let it cook till the chicken is tender and cooked through. In case the chicken is sticking to the bottom, add a splash of water. Once the chicken is cooked through, add green chilies, and coriander. Serve hot with naan, chapati or rice. 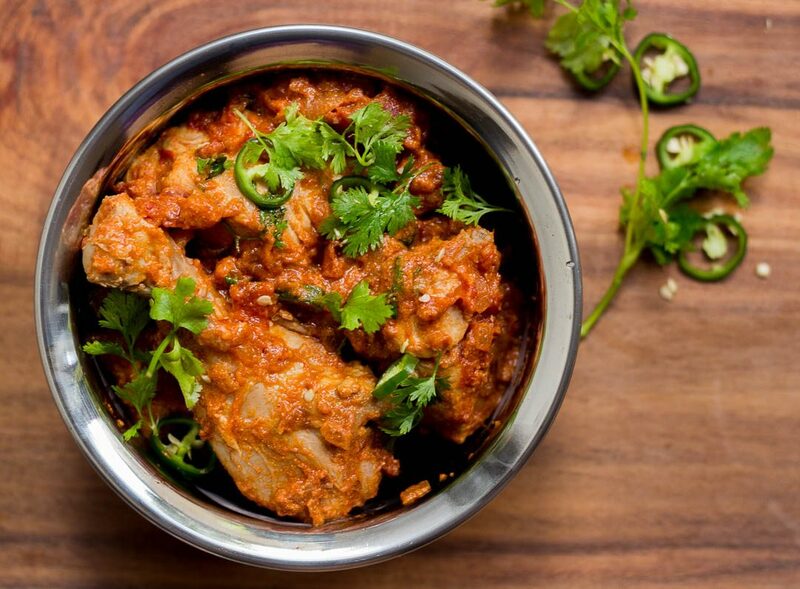 Chicken karahi is a dry chicken curry. However, in my family we prefer to have a bit gravy, which is why I add yoghurt. Just enough to create a thick gravy that can be eaten with roti or spooned over rice.